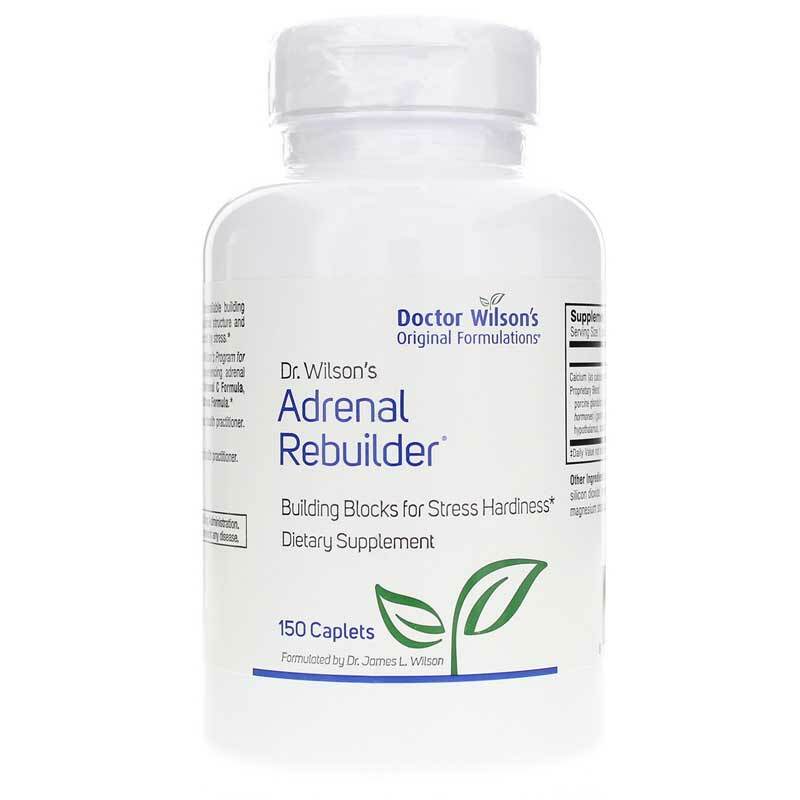 Adrenal Rebuilder by Doctor Wilson's Original Formulations provides natural support for people experiencing stress and symptoms related to overworked adrenal glands. This special blend is intended to help build and support healthy adrenal tissue structure and function, as well as support the other glands most affected by stress. The healthy performance of these glands during periods of stress is critical to maintaining energy, a sense of wellbeing, and the ability to rebound from stress and compromised adrenal function. Give your adrenal glands a hand - order Adrenal Rebuilder today. Other Ingredients: dicalcium phosphate, cellulose, modified cellulose, stearic acid, magnesium stearate, food glaze and micro wax. Contains NO: dairy, milk, egg, sugar, salt, wheat, gluten, nuts, yeast, corn, soy or artificial coloring, flavoring or preservatives. 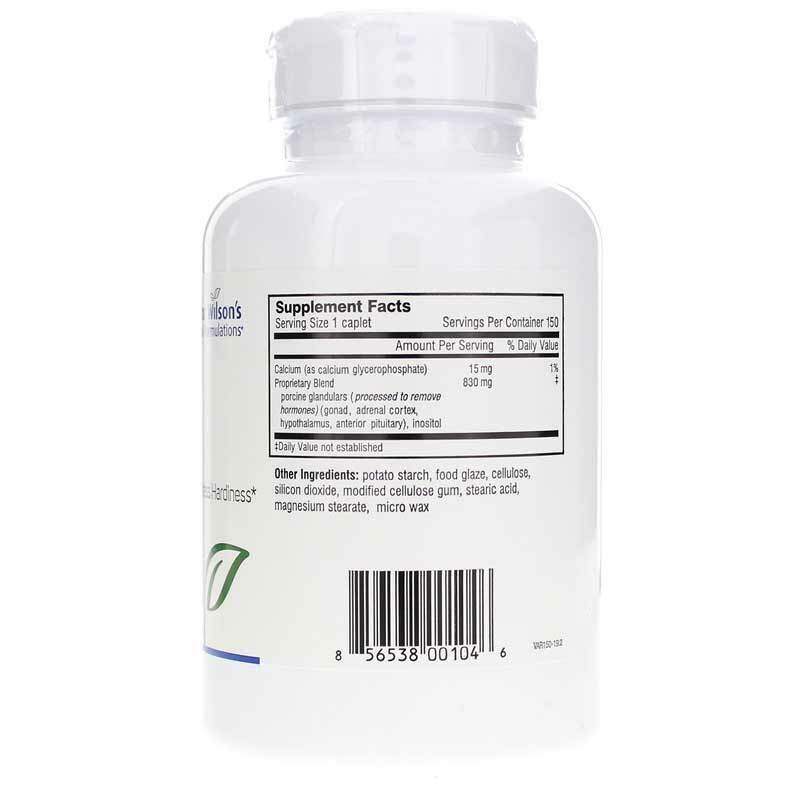 Adults: Take 1 to 4 caplets daily or as recommended by a healthcare professional. Take consistently for at least 6 months. After 2 months, I feel like a normal person and have ENERGY! This glandular supplement works! A year ago, I was tired in the morning, exhausted between 3 and 4 in the afternoon, and had a little energy after dinner. I had one naturopath suggest taking glandular supplements, but the ones from the vitamin stores didn't seem to help. I went to a doctor that specializes in natural hormones, and blood tests showed that I had hypo-adrenia. She suggested using this in combination with the Adrenal C, and other supplements, in certain amounts specific to my needs. After 2 months, I feel like a normal person and have ENERGY! This glandular supplement works! Takes about a month to work, but works great. I have not been using this product very long, but believe I feel some additional energy. Very good product. Have been using for several months and feel that it helps. I use it three times a day with adrenal power powder. Adrenal Rebuilder is an excellent product! My superb physician, also a wellness practitioner, suggested this years ago as a supplement to something else I was taking, and it worked great, and still does. I don't seem to get sick much anymore, and am not so worn out when I overdo it with work and travel and worry. Can't live without Adrenal Rebuilder. Tried other adrenal products, but this one is the BEST! My quality of life has improved tremendously since my doctor prescribed Dr. Wilson's adrenal rebuilder. Thank you! I recently started back on this, and I notice a huge difference whenever I take it. It really helps me to handle occassional stress so much better than whenever I'm not taking it. My GP recommended Adrenal Rebuilder and another of Dr. Wilson's formulas. She gave me no promise, but only the possibility that these products might help. With the significant jump in prices, I decided to use up what I have and then switch to some Chinese herbs from Sunrider. 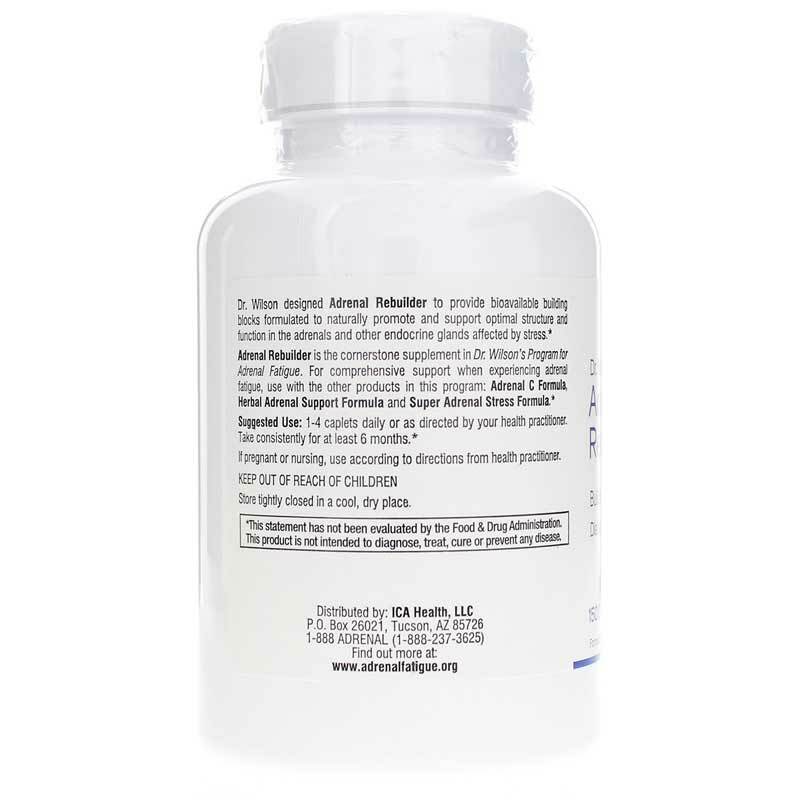 Adrenal Rebuilder proved itself and I felt like myself after using for the first week. I have found Adrenal Rebuilder really helpful. My doctor recommended this to me, I have read the book about adrenal fatigue and its no trivial thing. Thank goodness for this product and the book written by Dr. Wilson. This company was easy to order from. I love the free shipping and quick delivery, easy input of info- it all went through quickly, yay!! The product is porcine based which is great for me. It's extremely effective and has made a huge difference. I recently, at the suggestion of my doctor, increased the dosage. It really made a significant difference for me. I believe that this supplement has been helpful to my adult son. I have struggled for over 20 years and tried many many things. This is the best adrenal supplement I have found. I can actually feel a difference when I take it. Give it a try! Adrenal rebuilder, my life saver! I took the adrenal rebuilder for 2 months. I only felt 60% better. Excellent product. I have been using it for eight years and has given me back my life'I was able finish a college degree while taking care of my family. What's the best thing I can say about a supplement, 1) I would buy it/use it again; 2) I notice a difference in how I sleep and feel overall and 3) I feel things are healing in my body because of it. So a very big Thank You! Dr Wilson's Products are great! Dr Wilson's products are wonderful! Taking them has really helped me. The Adrenal C Formula is so easy on my stomach. I just feel better taking it. I started taking this supplement at the recommendation of my doctor. This product helped - I feel great again!!! I use this during more stressful times. Natural Healthy Concepts is the cheapest place that I have found to purchase this product.